Have you ever been angry about buying a Yeti cooler, only to find out on arrival that it is less than the actual size you thought it would be? 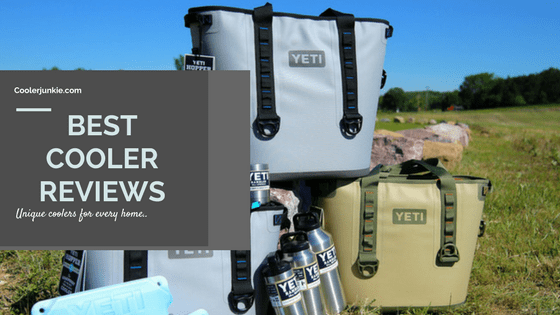 In this review, we’d be looking at how Yeti choose their ice chests number size and their real capacity in quarts to enable you to know the ideal size for your needs. 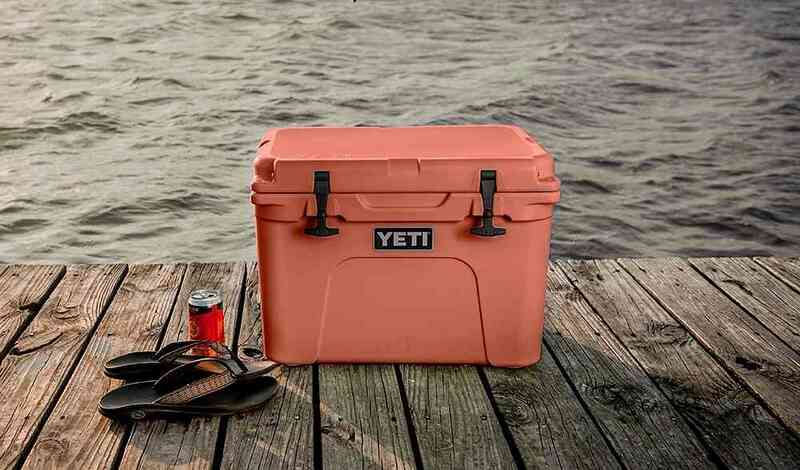 As you probably know, coolers come in different shapes and sizes, and Yeti coolers are by no means an exception. Perhaps the most important criteria in buying a cooler is the capacity. The size for a week-long camping trip with friends or family needs some robust rotomolded coolers or giant coolers at the very least, while a day at the beach would require a soft-sided cooler. Coolers are measured in quarts. Quarts is the measure of most ice chest capacity. But why are yeti cooler sizing different from others? You’ll find more information below. 1.9 Why Don’t Yeti Sizes Measure In Quarts? 1.10 What Size Do I Need? 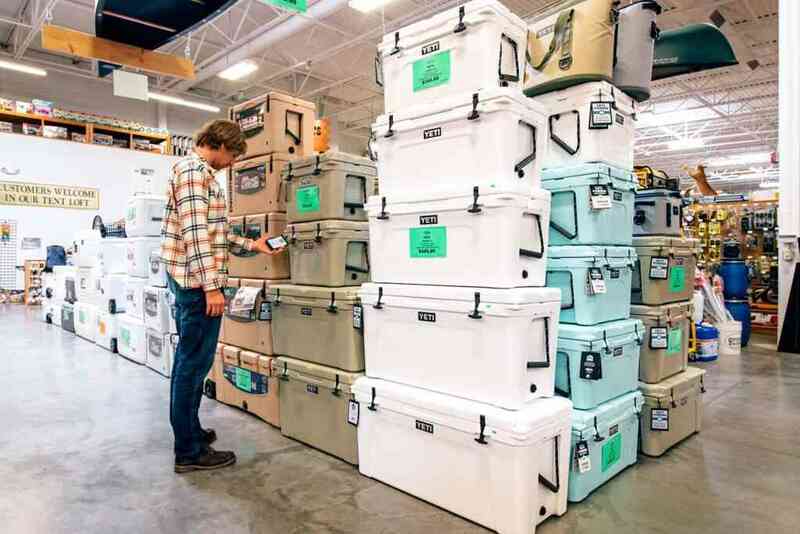 Since Yeti don’t disclose their cooler capacities in quarts, we’ve taken it upon ourselves to make a thorough research of the actual sizes and give them to you in quarts. The smallest Yeti ice chest in the lot. The cooler is quite light in weight as it measures 15 lbs, while the actual capacity is 22 quarts. It can also hold up to 20lbs of ice. If you are going out on a short trip: be it a picnic, a day at the beach or bbq – the cooler can hold enough drinks for you and a couple of friends. The Tundra is the most popular yeti model, while the Tundra 35 is small, it is only bigger than the roadie 20. Well, the Tundra 35 isn’t the least holding cooler on the list. It weighs 20lbs, 10.5 widths, 10” height (dimensions) , 28 quarts – it can hold up to 20 cans with 28lb ice capacity. But part of me still feels the Tundra 45 is the ideal model for almost any occasion cause it stands between the thin line of large and small. It’s somewhere in the middle. Whether it’s for small events or one that would require an average cooler – the Tundra 45 is ideal for the job. The Yeti 45 actual size in quarts is 37. Additionally, capacity wise, it has a 35 liters capacity that can hold 26 cans plus 35lb ice capacity. Overall, the weight is 23lbs when empty. T-rex Lid Latches, Tie-down slots, Double haul handles, Vortex Drain system are but a few things that make this product stand out. 26lbs weight means the cooler isn’t as heavy, neither is it light. Capacity in quarts is 46. On the other hand, it has a capacity for 32 cans & 47lbs of ice respectively. Whatever the occasion is – the Tundra 50 is at your service. With extra accessories like bear proof locks, beverage holder and Rod holster, you can use the cooler for fishing, camping, tailgating etc. Tailgating would be a lot of fun with a large cooler like the Tundra 65, take my word for it. It’s sufficient for any activity, personal or public the 65 will suffice. Rotomolded construction, thick insulated walls and tight lid with reinforcement from the T-rex latches will ensure your food and drinks stay cold for long hours. 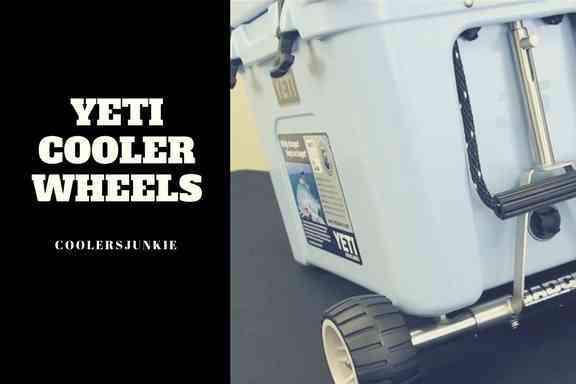 This cooler can keep up to 45 cans of ice, with a 29lbs weight, and 52 quarts size, you’ll appreciate its utility for space. We’ve finally entered the large Yeti cooler space. The 75 yeti tundra is the definition of a big game player. 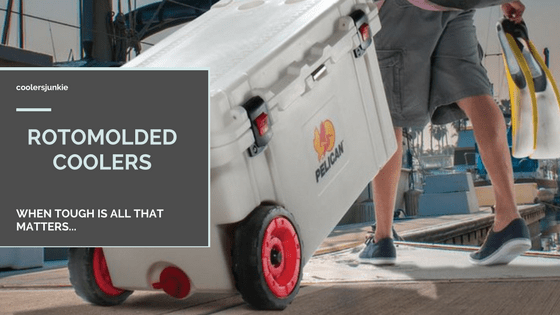 Specially built with rotomolded construction the cooler is practically indestructible. As you’d expect, the product is quite heavy as it weighs 34 lbs. It has a 74.8 actual quart size and can hold up to 70 litres, 56lbs of ice. Yes, all Yeti models are made of rotomolding process. The 105 is among the echelon of large Yeti models. You can store up to 59 cans and have enough space to stuff in ice. Made of rotomolding, this chest will take a beating for years. According to Yeti, this model can retain ice for up to a week. However, many reviews have revealed a less retention time ranging from 4-6 days. Whether you are hunting for a week and you want your catch to stay fresh for a week. 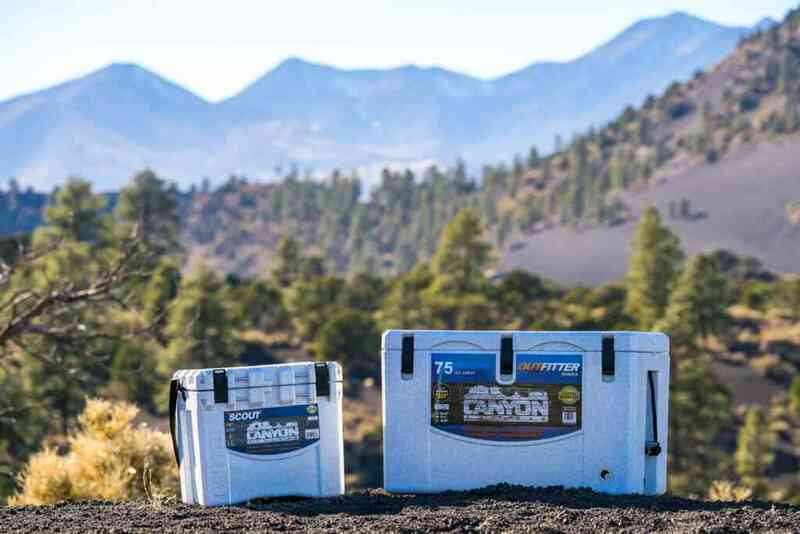 You can trust the 105 Yeti to deliver and satisfy your needs. Why Don’t Yeti Sizes Measure In Quarts? There’s no actual confirmation of the quart sizes of the chests. 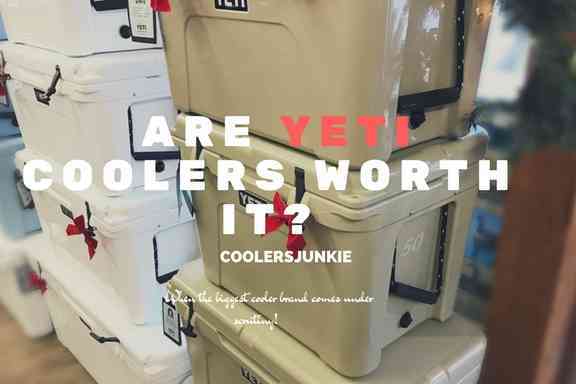 As a result, most people have been taken aback after realizing Yeti cooler sizes doesn’t measure in quarts. Instead of going for conventional quart sizes, Yeti utilizes a different model for selecting their quart sizes. On their official website, Yeti highlighted the can capacity and pounds of ice for their coolers but didn’t include the measurement in quarts. According to the some analyst, this method of sizing is a marketing strategy that allows only the buyer to know actual yeti size. Impressively, this helps mitigate the comparisons between Yeti and other cooler brands. Well done Yeti, Well done. The first question you need to ask yourself is “what type of cooler do you need?” hard sided cooler, soft sided cooler or Electric? If you’ve answered the question, you could move to size. Done? Now, it depends on what function you’d use it for. 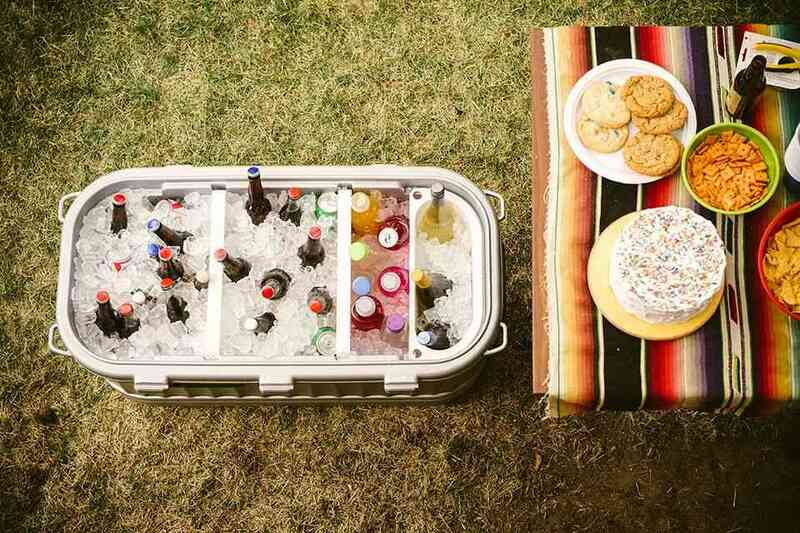 A rule of thumb I and a few of my friends follow is to carry the cooler that would hold our drinks and snacks. This of course is relatively depends on the occasion and number of people that would use it. Having difficulty choosing an ice chest? 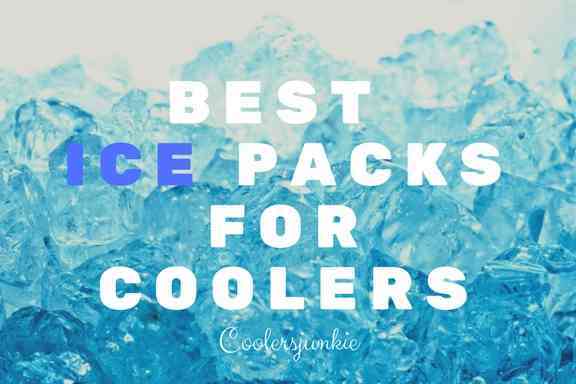 Check out our best cooler reviews.